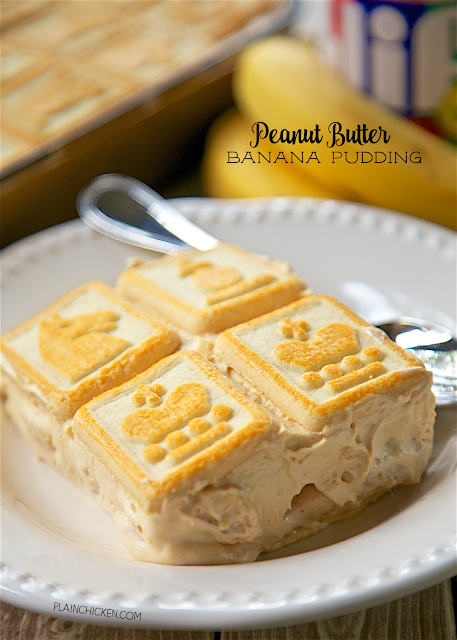 Peanut Butter Banana Pudding - peanut butter and bananas never tasted so good! Great dessert for a crowd! Can make ahead of time and refrigerate (it actually gets better the longer it sits). Chessmen cookies, bananas, milk, pudding, peanut butter, cream cheese, sweetened condensed milk and cool whip. Everyone always asks for the recipe! Peanut butter and bananas are one of my favorite flavor combinations. I used to eat peanut butter and banana sandwiches all the time as a kid. SO yummy!! 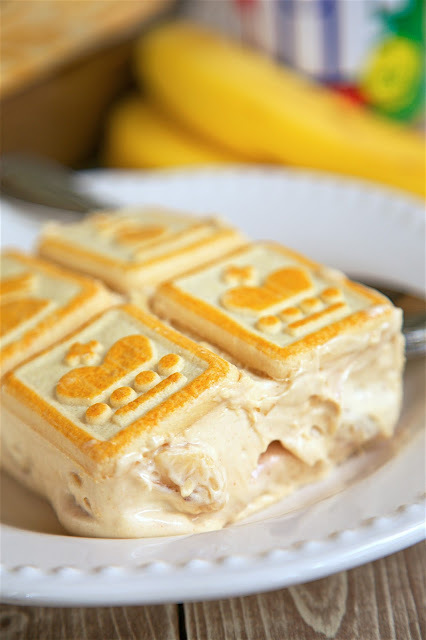 Banana pudding is one of my favorite desserts. I was trying to think of a new twist on my recipe and decided to add peanut butter. If it was good in a sandwich, I thought it would be amazing in dessert form. You know what? I was right! This Peanut Butter Banana Pudding was CRAZY good! This Peanut Butter Banana Pudding isn't for the faint at heart. 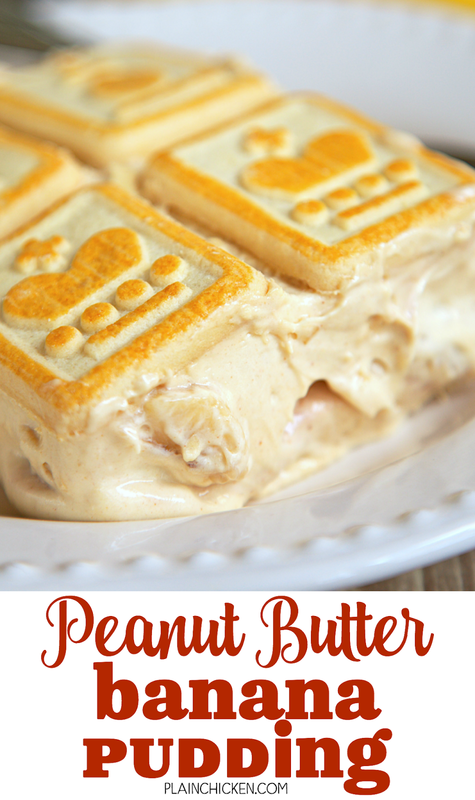 It has peanut butter, pudding, cool whip and sweetened condensed milk. O-M-G! The Chessmen Cookies put this dessert over the top. You could use fat free cool whip and sweetened condensed milk if you are super worried about the calories. I just went all in and used full-fat everything! The bananas and peanut butter make it healthy. Right? No? Oh, well! This Peanut Butter Banana Pudding was a HUGE hit in our house. We both took one bite and said "WOW! This is good! People should make this!". So, make this. It is super easy to make. You can make this a day or two in advance. This is the type of dessert that gets better the longer it sits in the refrigerator. This would be perfect for your upcoming Memorial Day cookout!! Line the bottom of a 9x13-inch dish with 1 bag of cookies. In a bowl, combine the milk, pudding mix and peanut butter. Blend well using a handheld electric mixer. Using another bowl, combine the cream cheese and condensed milk together and mix with handheld electric mixer until smooth. Fold the whipped topping into the cream cheese mixture. Add the cream cheese mixture to the pudding mixture and stir until well blended. Pour the half of the mixture over the cookies. Top with sliced bananas. Pour remaining half of peanut butter pudding mixture on top of bananas. Cover with the remaining cookies.